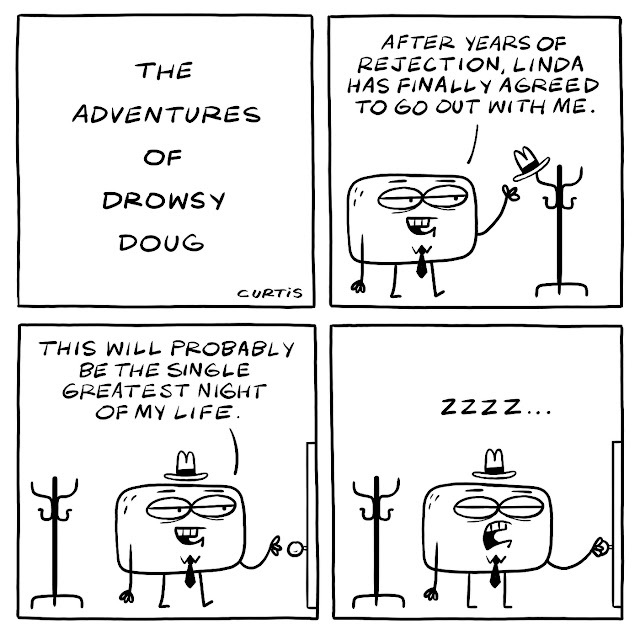 For those of you that haven't been paying attention, last week I introduced you all to Drowsy Doug. 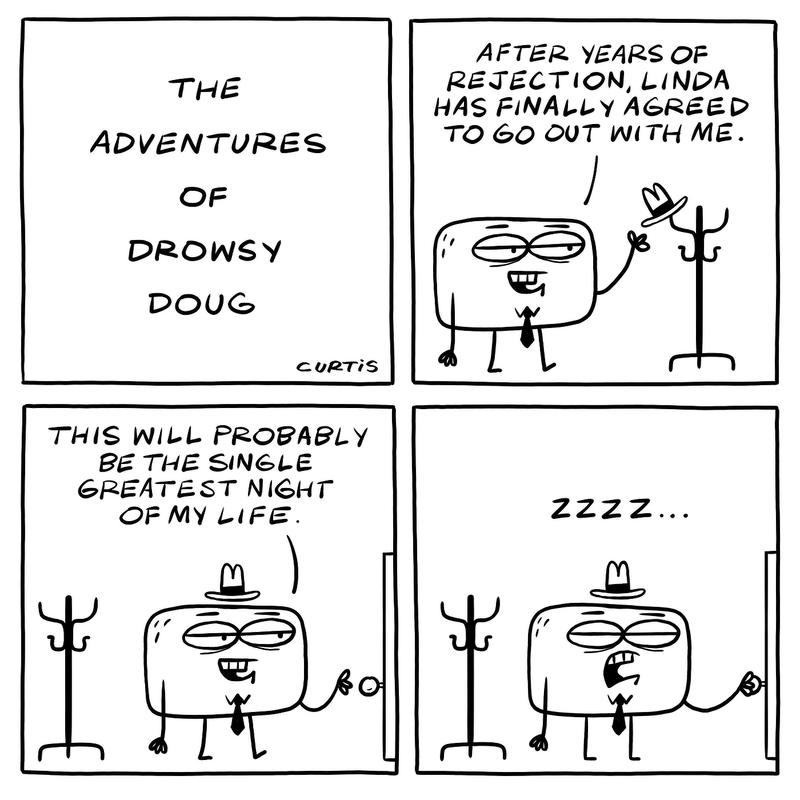 The lame idea that I had floating around in my head was that Drowsy Doug would always have plans to do something, but the running gag would be that he falls asleep in the last panel of every strip without actually having accomplished anything at all. In an act of sheer desperation brought on by mind numbing sleep deprivation, I thought it would be amusing if the drawings never actually changed in the strip. The running gag would obviously remain the same as well. The only difference would be the dialogue. So what you see here is exactly the same strip that I posted last week, but different, kind of.